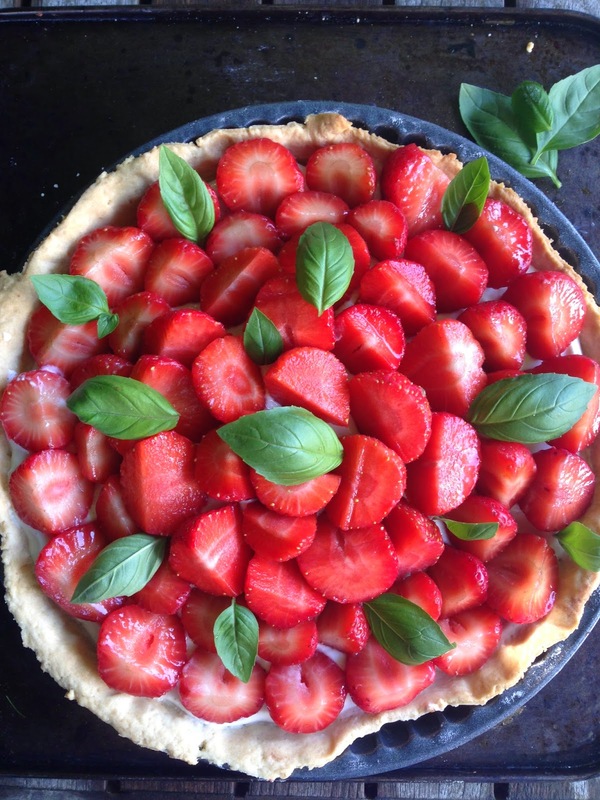 This strawberry and balsamic tart is a really good summer BBQ pud. You can make it in the morning in about 30 mins and leave it to the side until later on when you are ready to serve up. 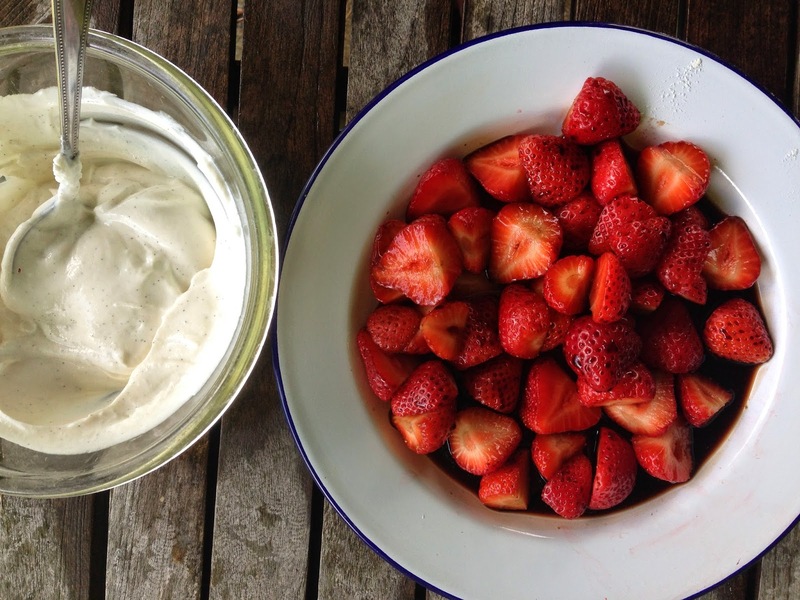 I love using things that are in season and strawberries are a favorite summer fruit. 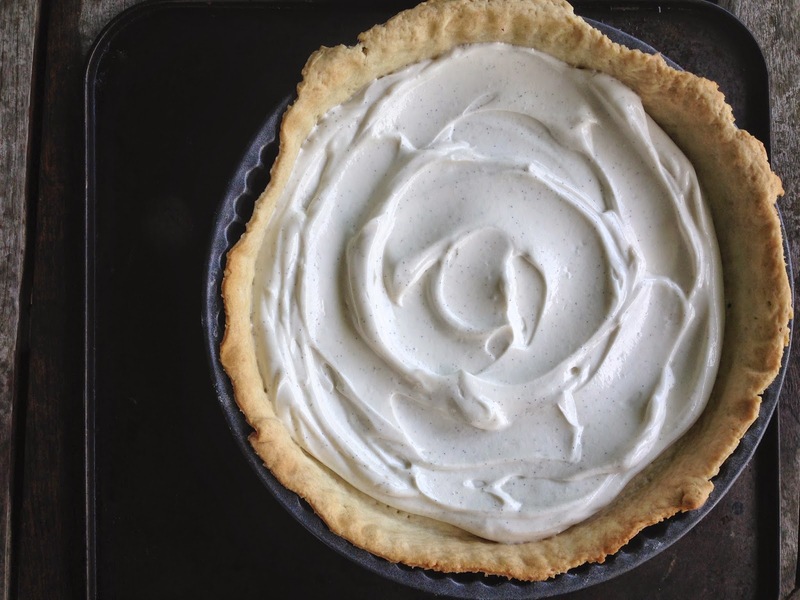 This tart is also nice and light as the base instead of a heavy custard, is yogurt with plenty of vanilla paste added to give it a sweet kick. First marinade your strawberries in the sugar and balsamic while you set about making (or rolling out your pastry) once rolled out, place into your tin and prick with a fork all over. Line the pastry case with baking parchment and fill with rice or baking beans if you have them. Blind bake for 10 minutes with the rice and parchment. Then remove contents and bake the case empty for a further five minutes until golden. 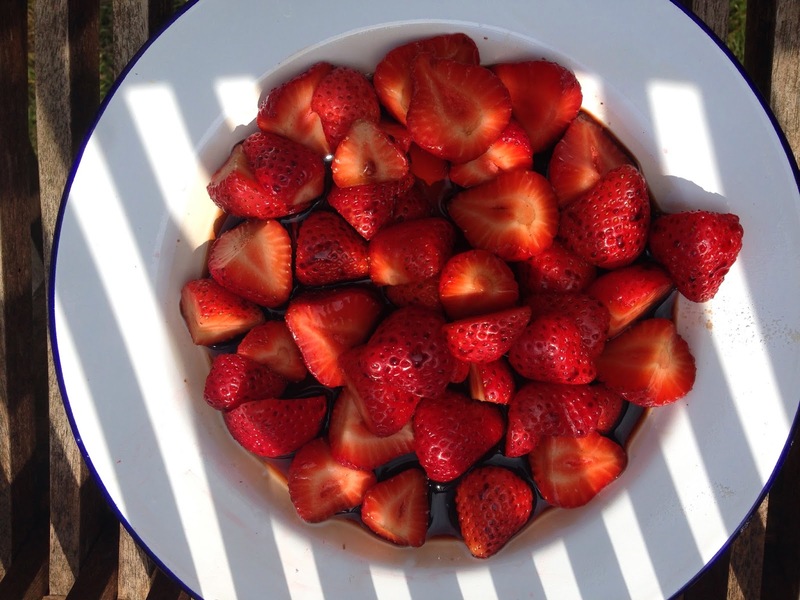 Next strain your strawberries from the balsamic marinade and arrange them on top. Top with some basil leaves and keep in the fridge until you are ready to enjoy!